Whitewater City Council explores housing challenges | Vandewalle & Associates, Inc.
WHITEWATER, WISC. 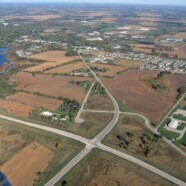 (EXCERPTS FROM THE DAILY JEFFERSON COUNTY UNION) — The Whitewater Common Council on February 5 unanimously approved a resolution that formally urges elected representatives to direct the state Department of Transportation to complete an environmental impact study for U.S. Highway 12 in Walworth County between Elkhorn and Whitewater. The environmental impact study is a required step in order to expand Highway 12 from a two-lane to a four-lane highway, something that Whitewater officials have wanted to have done for many years now. The extension between Elkhorn and Whitewater, which would bypass the Lauderdale Lakes region, is known as the Red Line Route. Also on Feb. 5, the council heard City Manager Cameron Clapper give a summarized report on a joint meeting that was held with the council, Plan and Architectural Review Commission and Community Development Authority (DCA), in November 2018. The two-hour session was facilitated by Mike Slavney of the firm Vandewalle & Associates, which is the city’s planning consultant. The charrette was a result of an issue that came to light over the summer of 2018 regarding the zoning of annexed land into the city and the proposed development of townhomes on that land.